The river Euphrates on the Syrian Turkish border should be a place of peace, calm and holiness. Instead, at the Nizip Syrian Refugee Camp, which lies on its banks, the consequences of the Syrian civil war are all around. On a visit there in January, I saw thousands of men, women, and particularly children, existing in giant compounds, waiting for the conflict to end so that they could go home. The refugees in the Nizip camps, helped as they are by multiple charities and a supportive host country, are the lucky ones. The real crisis is the lack of humanitarian support to those caught up in the conflict within Syria – literally caught in a crossfire – and with the UN virtually unable to provide them with aid outside of the Damascus area. The Syrian conflict is the problem that will not go away for Britain and the West. For my part I believe the United Nations must do more. Put simply it needs to add some bite to its bark. Having decided not to intervene in the Syrian conflict, or take sides, Britain and the UN have chosen to pursue diplomacy to resolve the conflict. But this has failed to prevent the killing, and with the war now in its fourth year, it is fragmenting into ever more complex disputes. At the same time the death toll has exceeded 150,000 and the number of displaced people is over 2.6 million and rising fast. The reason the refugees increase is because the conflict is not stopping, and because the Syrian population is not receiving the outside world’s support. The aid convoys into Syria are not getting through. It is right that we are very proud of the UK’s humanitarian support of £600 million in food, aid and support to the refugees from the Syrian conflict, and that we have accepted hundreds as part of the Vulnerable Persons Relocation programme. In the Nizip refugee camp I saw how British charitable and government help is making a difference to the lives of thousands of people. The UN has done the right thing by passing 2139. But thus far Government, and some opposition forces, in Syria continue to block the aid convoys, and the sieges of cities such as Homs go on. I would like to see the UN use its considerable clout to enforce Security Council resolution 2139, to ensure the aid starts to reach those in need. After all, what is the point of passing such resolutions if we are not going to act on them? UN failures to make Resolution 2139 happen is making Syrian civilians’ lives considerably worse, and exacerbating an already growing problem of refugees. Today is the last day of the Fairer Funding F40 Consultation; have you made your representations? I can walk over the border from Northumberland, which receives £5,241 per pupil, to Newcastle upon Tyne, which receives £6,052 per pupil—a difference of £809. Teachers in some of my schools in Northumberland, such as East Tynedale, send their own children to schools in Newcastle, which can almost not spend their money, while Northumberland is struggling desperately. The system must change, and I welcome hugely the 6.4% uplift of £10 million coming next April. I have written to all my head teachers urging them to respond to the wider consultation. I thank those who have written to me, including Ponteland Middle school, Mickley and Whitley Chapel first school, making the case, and the many others who have responded. The long and short of the matter is that rural schools have been in a singularly difficult situation for many years under successive Governments. 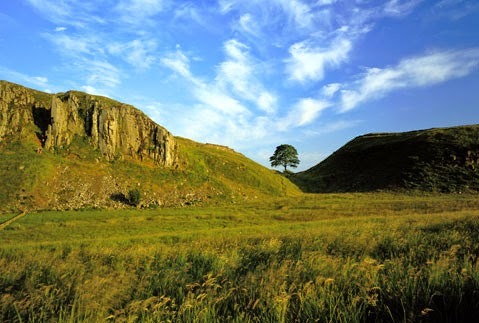 In areas with a three-tier system, such as Northumberland, it is particularly complex because the system is focused increasingly on two tiers. I mean no disrespect to the Department for Education, but it seems to struggle and have great difficulty understanding 3 tier school systems. We must have a continuing campaign. I endorse the point that we must scrutinise all political parties on their approach at the general election, because the matter will not be solved overnight. The long journey has had many steps, but they are leading in the right direction. I welcome what we have done for F40 and I support the campaign. Pleased that Ed Balls is not in charge. Slowly but surely we are turning this country economy around with more jobs, increased manufacturing. In truth, the impact of the Great Recession ares till being felt, but the foundations for a broad based recovery are now in place. The danger would be to give the economy back to Balls, Brown and Miliband. Pleased to be debating schools funding today; please make sure that your school has responded to the consultation - Ponteland Middle, Mickley and others have done. Train usage has doubled in the last 20 years and we simply do not have the capacity to cope on existing lines. Yes that is right - we as a nation take twice as many train journeys as we did when the service was nationalised British Rail. But, on any interpretation, our rail network is bursting at the seams, and our train operators are struggling to provide the service and capacity that we now expect from our train service. That is the context which HS2 needs to be judged within. To those who say that we could improve our rail network simply by upgrading existing lines I would say two things: if you accept that you need new rail capacity you might as well build a good train line. Secondly, upgrading existing lines is very expensive, very slow, and does not produce the long term benefits of a second line. Look at the cost and problems of West Coast Mainline upgrading. Every large infrastructure project from the M25, HS1 or whatever has its doubters and heavyweight opponents. Only the famous Humber Bridge has failed to reap the benefits. Indeed the original builders of the railways faced opponents of the construction of the West Coast Mainline and East Coast Mainline in the 19th century. In 1832 Parliament rejected the initial bill [for the West Coast Mainline] because some people objected. They argued that canals and rivers were all you'd ever need for long-distance travel, anyway. Indeed, our case for change is even more stark today; we are a country in a global race for jobs, investment and infrastructure. At the start of 2007, China didn't have a single high speed rail line. Today it has over 6,000 miles in service. By 2015 that will be 11,000 miles, while we have just 67 miles, from London to Kent and the Channel Tunnel. All the Northern Local Authorities and the NECC back the project, and whilst Ed Balls and some North East MPs are against, we cannot rail [forgive the pun] against this country's lack of infrastructure and then get upset when it costs money and takes time. We in the North have still got to ensure that the details of the Northern extensions to Newcastle and beyond are worked through properly. But on the fundamental principle of the need for HS2 I am satisfied and I will vote for it in the division lobbies this week. Certainly our grandchildren will look back in wonder at those who opposed the M25, HS1 + HS2 and ask what planet were you on? The world is changing. We need to change with it. Syria debate is Tuesday, and I will be speaking also on the F40 Fairer Funding for School campaign. Monday is a Home Office morning, followed by Home Office Questions at 2.30, followed by 2 days of debate on HS2. The Red Cross Open Gardens is one of the marvels of the North, and a great way to see the beautiful gardens of so m uch of Northumberland. On 22nd May the North East will go to the polls to elect its three Members of the European Parliament. In many of the urban areas there will also be Local Elections. We don't have any local elections in Northumberland this year, as ours took place last year, and happen every four years. The nominations for candidates have now closed across Newcastle, North Tyneside, Gateshead, Sunderland, and South Tyneside. Having just returned from helping our local team in Newcastle this morning I am very proud to report that the Conservatives are fielding a candidate in every single ward, not just in the City, but across Tyne and Wear - that's 112 Conservative candidates. A feat only matched by only one other party - the Labour Party. I must put on record my thanks to the hardworking local volunteers who have ensured the Conservative Party is represented in every single ward, a huge task, but one that shows the dedication and strength of our party here in the North East. The Weekend Read: How do you recreate a "new" - old - station like Gilsland? The Campaign to Open Gilsland Station (COGS) was set up last year; I have held a series of meetings with many of the people involved not least Northern Rail, Rory Stewart MP and Network Rail; the COGS study, as helped by Councillor Alan Sharp, has revealed that the project could take five years, and cost up to £2.5million. This is no small sum, but it is genuinely doable. This is not a pipe dream project. It does tick the boxes, albeit we still have plenty to prove. If Gilsland station re-opens, it will be a remarkable victory for a community which lost the facility almost half a century ago. GRIP stands for the Governance for Railway Investment Projects: this is how such projects have been approached for a long time by Network Rail; it has 8 specific stages. Some might see these as bureacratic, but there is a degree of logic to the process, and as public money is going to be used in the process - then, in particular, in these tricky times- a need to ensure the money is well spent is required. "Governance for Railway Investment Projects (GRIP) describes how we manage and control projects that enhance or renew the national rail network. GRIP divides a project into eight distinct stages. The Gilsland project is already well through the early stages, with the feasibility study yielding positive results, and the 2 Councils are looking at ways to take the project forward. The 5 year estimate is realistic - this is not going to happen overnight. But the planets are aligned and we have a formidable team of supporters. Money will always be the problem, but if we take this GRIP process stage by stage I genuinely believe this will happen. Sunday I am busy working in Ponteland. Sometimes charities, newspapers and government come together to do small things that really make you feel very proud. I do not know who thought this up but I am delighted that key servicemen charities, the Sun Newspaper and the Department for Communities and Local Government are committing money to the "Honour our Heroes Campaign". This is partiocularly apposite given it is the Frist World War anniversary. It ensures that money is spent making sure the gravestones of of Britains Victoria Cross Heroes are restored and respected properly, as proper and poignant tributes to remember them, and mark their sacrifice. Born in Ovingham, Lance Corporal Dobson served in the 2nd Battalion, Coldstream Guards. In actions at Chavonne Aisne, France, on September 28, 1914, Lance Corporal Dobson went out twice under heavy fire and brought in wounded men who were lying exposed in the open; he was badly wounded in the process. 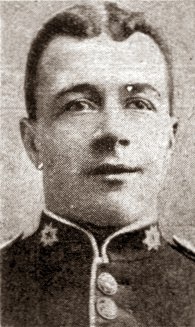 For conspicuous gallantry, he was promoted Corporal and awarded the Victoria Cross by King George V on December 8, 1914. He died at age 48 in London, England, but is buried in nearby Ryton and Crawcrook cemetery. His grave is tended well I am told, but for others this is not the case and this is a worthy cause. Food, drink, arts, crafts, entertainment and much more available this Saturday from 9-4.30 in the town centre and abbey grounds. Also taking place is an open studio at The Hearth in Horsley, which combines over a dozen key art and literary events ... with one of the best cafés in the county. If Scotland goes Independent why would the rest of the UK act as their banker of last resort? S and P, the independent credit agency have pointed out the inconvenient truth: Scotland will not be able to afford its banks, and would have a credit rating worse than Iceland. When Iceland's three biggest banks collapsed in 2008, the country's depositor guarantee scheme was unable to repay hundreds of thousands of UK savers who had billions of pounds in high-interest accounts such as Icesave. Lloyds and RBS have already expressed concern about the risk of a credit downgrade in the event of a yes vote. "The impact of a yes vote in favour of Scottish Independence is uncertain," Lloyds said in its annual report, adding that it could affect the cost to the bank of complying with regulations and its tax position. When it published its results in February, RBS said: "A vote in favour of Scottish independence would be likely to significantly impact the group's credit ratings and could also impact the fiscal, monetary, legal and regulatory landscape to which the group is subject. Were Scotland to become independent, it may also affect Scotland's status in the EU." - Support and humanitarian aid for Syrian Refugees. I will be giving both speeches next Tuesday and welcome all constituents writing in with suggestions and comments on both. Comments on the blog and elsewhere to my face - often in robust terms - maintain that I, as a British, but English MP, have no say, concern or right to an opinion on the Scottish Referendum debate. I strongly disagree and continue to make the case for the Union in person last week in the Borders, at events and on the doorstep, and on this blog and in the media. Almost most importantly Scottish Independence will have an affect on my constituents in Northumberland in a multitude of ways. But us unionists have to accept that according to recent polls, the lead over the independence camapaigners has shrunk to three percentage points. If the ‘don’t knows’ are discounted, the figures are Yes 48 per cent and No 52 per cent. - and helping get out the postal vote in late August / early September, and on the day itself. It is worth studying the stats and reaction to the employment numbers announced late last week - they are genuinely good news for the North East and show that the economy is heading in the right direction. • Employment in the North East stands at 1,206,000 – a rise of 31,000 over the quarter and 40,000 over the year. • North East unemployment stands at 124,000 – a decrease of 10,000 over the quarter and 7,000 over the year. • The claimant count stands at 68,400 or 5.5% in the North East (down 1,600), compared to 3.4% nationally. Don't take my word for it: the North East Chamber of Commerce described how the jobs figures "in the North East are continuing to improve and the annual rise in the employment figure is particularly eye catching. Across all measures the North East jobs market is improving in health and while we still need to catch up with other regions we shouldn't look past the real progress that is being made." "Businesses in the North East are in bullish mood, particularly in the manufacturing sector, which is great news. However, the rise in employment does not come without challenges, not least of all the fact that good staff will be in shorter supply and this in turn will place pressures upon wage costs. Evidence of this is already coming through our Quarterly Economic Survey and the challenge now is to ensure that it does not place a brake upon future growth." At the same time it is worth pointing out that various people are doing a series on the greatest novels of all time. Surely "Literature" is the book that the reader wants, and most importantly reads. There is no greatest ever novel - just the book that you or your child considers a classic. People often forget that Air Ambulances are charities and not funded by the state. They are one of the wonders of British life. 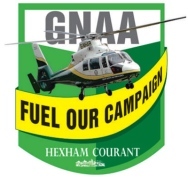 For us in the North, The Great North Air Ambulance (GNAA) is incredibly important to Northumberland. It is the fourth emergency service. The GNAA covers an area of 8,000 square miles. The helicopters can be anywhere in the region within fifteen minutes and this quick response provides those in need with specialist trauma doctors and paramedics. No medical response unit can match this reaction time on the ground and cover such a large area. Air Ambulances quite simply save lives. 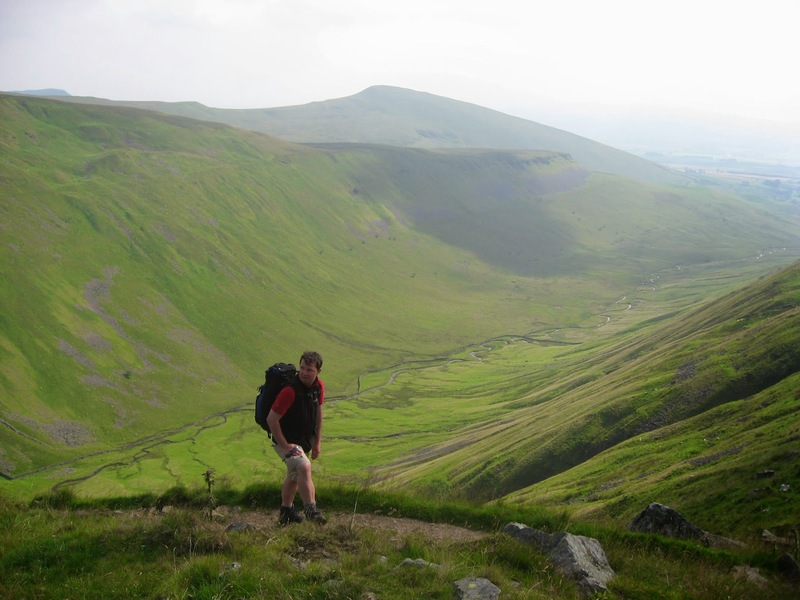 I have seen this as a jockey, as an MP and as a hiker - when I did the Pennine Way the service was called out several times - the picture is of me going over the high emptiness of High Cup Nick on the Cumbrian Border. Yet, the GNAA is funded entirely through charitable donations. Each mission costs £2,500, because of fuel costs, medicine and other equipment. The Service responds to hundreds of call-outs a month and to satisfy this demand it requires about £4m a year in fundraising. This huge running cost is often a testing target to raiseand the GNAA is not alone. I am the chair of the All Party Group in parliamanet in support of Air Ambulances. There are many Air Ambulance charities across the UK, each one having to raise millions of pounds themselves so they can help reach patients quicker. One clear way to ease this financial burden is to stop Air Ambulances paying VAT on fuel. Each year the GNAA, for example, pays £120,000 a year on fuel. Of this total, 20% is VAT. If stopped, the GNAA would save £24,000 – equivalent to 10 life saving missions. Lifeboats do not pay VAT on fuel and, ever since becoming an MP, I have campaigned to fix this contradiction. Back in 2012 I led a debate where I argued that there was no difference between a lifeboat and a helicopter. After two years of hard campaigning by the GNAA and the Air Ambulance Association, The Chancellor, George Osborne in his recent Budget announced that Air Ambulances would no longerhave to pay VAT on their fuel. This was excellent news! It will have a huge impact upon the many Air Ambulance Charities across the country, but most of all here in the North East. Two weeks ago, during Prime Minister’s Questions, I raised this issue and thanked the PM and the Chancellor for seeing the case for change and supporting the GNAA and others. But despite this excellent result the GNAA still needs support. There will always be a need for further fundraising and support from local volunteers. This VAT exemption does not mean the financial burden is lifted. More money is needed every year to help keep this life saving service in the air. What it does mean, however, is that money that would have otherwise been spent on fuel tax can now be used to buy more medicine and pay for more missions. This is great news for the people of Hexham and Tynedale and I am delighted to have played my part in making this happen. I congratulate the GNAA and Air Ambulances across the UK and will continue to support them for as long as I am an MP. But as you consider your charitable donations this summer - please think of the GNAA. A huge success for the market. The bread and sausage businesses sold out within hours and all the traders I spoke to when I got there at 1 were saying what a great day it had been. There was a great atmosphere and lots of locals keen to buy. And the fair at the Manors was heaving with people eager to come and support, make some purchases, and have fun. Many congratulations to all the organises, stallholders and especially Jacqui who was chief organiser. It was a great event. Last year I went to Faslane Naval Base in Argyll - around 8000 people work there at the submarine and naval defence base there. Upon independence this would not stay in Scotland. I spoke to locals in the picturesque seaside town of Helensburgh where 1 in 2 work on the base: they were terrified of the impact of independence. One local put it simply:"it would kill the town" he said. - What would become of RAF Lossiemouth or Leuchars? - And why would the rest of the UK ever build a ship on the Firth of Clyde again, instead of Portsmouth or the Tyne? - And the Scottish regiments? Salmond says he will keep some on but in what role and in what army? And doing what? Are they to be purely ceremonial? "An independent Scotland would be required to renegotiate its relationship with Nato, just as it would with the EU. But given the SNP’s deeply ingrained aversion to nuclear weapons, it is unlikely an independent Scotland would be welcomed into the Nato fold, particularly if its total military contribution amounted to a handful of warplanes and the odd frigate. Other small Nato nations, such as Norway and Denmark, which actively participated in the air campaign against Colonel Gaddafi in 2011, boast fleets of 60 F-15 warplanes or more, and have no hang-ups about maintaining a deterrent. Even so, if the SNP’s defence plans are patently risible, they nevertheless have the potential to inflict enormous damage on the rest of Britain’s military capabilities, with no tangible gains for the Scottish people. How could the rest of the UK hope to protect the Northern Approaches from Russian incursions if it was denied access to vital early-warning systems and bases for quick-reaction sorties? The answers to this and many other questions relating to our security matter as much to the Scottish people as they do the rest of the British Isles, and they are worthy of far deeper consideration before the Scots vote for a potentially tragic break with one of our nation’s most illustrious institutions." Shop local and support your local markets. Delighted that the town and local council have supported the stall holders who will be selling everyhting from chees to fresh meat and fish, from plants and flowers to pet supplies. I will try and pop down there after I finish with the Hexham Clean Up Day - starting at 10. All help welcome! Some places still available on the 27 - yes 27 - different guided walks across south west Northumberland. All details here. You will not regret this. Great views, nice people, well organised, and plenty of tea shops and pubs to reward yourself with at the end of the day. It all starts next week, but there is nothing to stop you pulling on your hiking boots and coming to see us this Easter. Is Gordon Brown about to step down as an MP? New Statesman says it's about time! 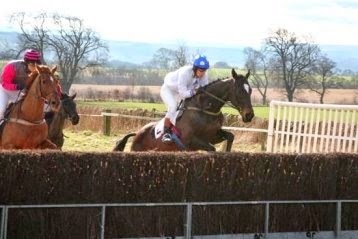 You could go racing at Corbridge to the Braes of Derwent Point to Point? I will be there but others could be going to The Famous Feathers Inn Hedley Barrel Race – and win 72 pints! There is egg jarping, Easter bonnet competition, BBQ and more. Barrel Race registration from 11.30 am. Race begins at 1pm. Prize giving 1.30pm. Prize a whole barrel of beer! What is a prison for and what can we learn from Norway? The cycle of crime, punishment and re-offending needs to be broken. I believe that working prisons and payment by results are a real step forward but Norway is the gold standard, since it boasts a re-offending rate of 20%, the lowest in Western Europe. But we need to change out attitude to crime and punishment as well. Prisons appear to play a different role in Norway - less about punishment and more a place of rehabilitation. One in particular - Bastoy, an open prison on an island south of Oslo, where only 16% of released prisoners re-offend - has received widespread international attention. How far is its success attributable to the environment or a more humane philosophy? Guards are trained in criminology and psychology, and inmates enjoy a lifestyle described by critics as being like a "holiday camp" (despite the fact it is cheaper to run than most Norwegian prisons). The programme asks - What is prison for, and what can we learn from Norway? Hexham Clean Up day this Saturday morning! Please come along and tidy your town! We will be going around the town sweeping, cleaning, and making good the town to try and help get the place looking good before the summer tourist season. All are welcome. Lats year was great fun and really made a difference. I popped in to the Boat House Pub in Wylam yesterday for a pint, and they are holding a Scottish Beer Festival this weekend 17-21 april, with music saturday night. Also on this weekend is the Feathers Beer festival 18-21 april. Or you can wait for next weeks Ponteland Beer Festival from april 25-26 or the Glenside Beer Festival in Mickley on may 2-3? Thursday, Friday 12th/13th June 6-11pm and Saturday 14th June, 1pm-11pm at Tynedale Rugby Club, Tynedale Park, Corbridge. If you like your beer festivals more relaxed then my favourite is the Haydon Bridge Beer Festival, on the 4-5th July, where I have helped out in the past: I set out their pitch for your support below. Put these future dates in your diary. The organisers are both delighted and excited to be organising the fifth Haydon Bridge Beer Festival. This year’s event has a fantastic American Independence Day theme, kicking off as it does on 4th July. Whilst coming in appropriate costume is certainly not compulsory, the idea is definitely encouraged! As well as 40 local beers, ciders from around the UK and wines from across the world to enjoy, there will be some great live music to chill out to. There will also be delicious local food to savour, with meat coming from the farm just next door. You can’t get much fresher than that. Set on the beautiful banks of the river south Tyne, the aim of the festival is to ensure people have fun while raising funds for worthy causes. This year’s recipients are the Great North Air Ambulance, St. Oswald’s Hospice and Tynedale Hospice. Last week's win in Ponteland is only just beginning to sink in: at a crucial by election neither Labour nor the Liberals decided to put up a candidate. And this was 1 year before a general election and a month before a Euro Election. Alan Varley was an outstanding local candidate: having worked locally in public service he then decided to put his hand up, and get involved for his local town and help shape his local community. He will be an excellent councillor I am sure. My congratulations go to Carl Rawlings and his team of supporters who turned out on the day to ensure a big turn out and a 70%+ Conservative vote, and a big win. Because parliament was sitting I was not able to be on the campaign trail in Darras Hall as much as I would have liked but I was able to pop in on election day, as I drove north after the last day of term. I brought with me a surprise guest in the form of Chris Grayling, the Secretary of State for Justice. Chris is an MP in Epsom but was in the North East to visit the Oswin Project and go to 3 separate prisons - Kirklevington, Frankland and Northumberland - in 24 hours. We left Frankland High Security prison in the late afternoon and popped into Ponteland for an hour as we drove north. We put Chris to work straight away after he had met the team and for 45 minutes Chris, Carl Rawlings and I made sure everyone locally had turned out to vote. This election mattered a lot in Ponteland, in so many ways but particularly on the issue of how the Council is set up and how we protect the green belt. My congratulations, thanks and full support to Alan and the team of helpers. 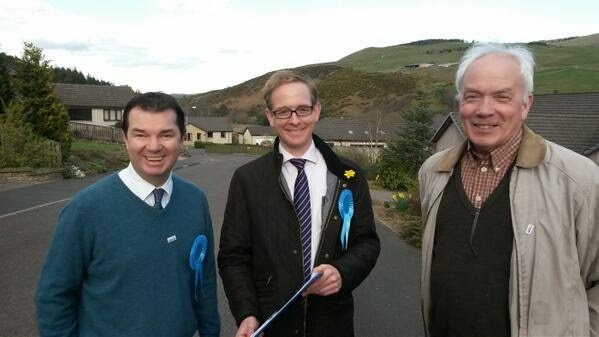 I spent yesterday afternoon around Galashiels and Jedburgh with the Better Together team led locally by John Lamont, the Conservative Borders MSP; this is canvassing but with a difference to the usual conversation on the dorrstep: - you simply canvass "are you proposing to say No in the September Referendum?". The conversation that follows is then a discussion of the merits or otherwise of independence. The response enjoyed in the village of Clovenfords by myself, John, and the local councillor Gavin, was very positive - around 70-75% of the 100+ doors we knocked on were in favour of the Union. I only came across a couple of SNP / pro Independence voters on the doorstep . Later on I attended a meeting with Unionist supporters just outside Jedburgh. I was preaching to the converted but still several of those present made the case that the English need to communicate that we want the Scots to stay. For my part I have no doubt we are better together, but I will be making the hour long drive over the border many times over the coming 5 months. The message is simple: Please Don't Go! Sajid Javid is being attacked for hauling himself up by his bootstraps. For being aspirational, hard working, and making money...oh and being a banker. I have included the whole of Dan Hodges article above to let you judge for yourselves, but as Dan writes "it’s now official Labour Party policy to hate the rich." The approach is now to denounce the aspirational. Read Sajid's life story and you realise that the two Ed's and the Labour Party really do intend to wage a campaign of class warfare to try to secure power in 2015. I find it profoundly depressing. Labour talks a good game about the importance of working-class political representation. It also likes to sound off occasionally about the importance of greater ethnic diversity. But look at the comments about how Sajid is treated in the article. His dad arrived at Heathrow airport in 1961, with £1 in his pocket. He worked in a cotton mill, as a bus driver, and on a market stall. Javid himself was born less than a year after Enoch Powell delivered his Rivers of Blood speech. He grew up in Rochdale, and then moved to Bristol. He went to a local comprehensive school, then university then embarked on a successful career in finance. Then, at the height of his success, he quit his £3 million-a-year job to enter public service. He became an MP earning £65,000 a year. And last week he became the first ever Asian Secretary of State. At which point the Labour party – the Labour Party – attacked him. Because they think he’s too rich. And worked for a bank. How did they get themselves in a position whereby they are running down the first working-class Asian kid to hold the seals of office? We have to stop this denigration of the wealth creators. In America they would be celebrated, admired. They create jobs and taxes. surely we should be pleased not denigrating him? Tynedale Plans this week - including the Hexham Clean Up day this Saturday - take pride in your town! of which more to follow...but put simply come along on Saturday to help give Hexham a clean up. Last year it went really well. Mutuals are wonderful things and I am a huge supporter but the Co-Op has got to watch out. If it does not steady the ship it will start to founder. And once again the regional board members are not keen to accept the restrcturing plan. To misquote Oscar Wilde to lose one man who was asked to sort the troubled mutual out – [chief executive Euan Sutherland] - and then lose another in a matter of weeks [this time key director Lord Myners] smacks of a rudderless organisation. It could mean it does not pay the £383 million it owes as part of the bank’s ongoing recapitalisation programme, and potentially a lot more. I stress that I wish the Co-Op well. But it has lost over £2 billion and is not listening to those who could actually save it. The way Sutherland was dealt with was totally wrong, and the Co-Op members should be furious with their board members. If the mutual does not sort itself out it will need to go cap in hand to shareholders to raise the additional money owed, and see the Group’s current 30% stake diluted further. The remaining 70pc of the Bank’s shares are owned by a number of debt and hedge funds. Myners announced last week that he is to leave the board of the Co-op Group at the annual meeting in May, when his proposed corporate governance reforms will be voted upon. The reforms propose the creation of a two-tier board structure and the recruitment of City-style non-executive directors - but at last week’s board meeting all regional board representatives are understood to have rejected the reforms. The probolem is that medecine never tastes nice. The rift threatens to derail the restructuring process initiated by Mr Sutherland on his arrival in May 2013. The sad reality is that this is a mutual which has been poorly mismanaged for some time, and the regional directors need to recognise that if they continue to reject the rescue plans there will be nothing left to salvage. And that would be a tragedy, because what we do need are well run mutuals. For too long that has not been a fair description of the Co-Op. You bring in people to turn something around and then ignore and obstruct them. Not clever. It is like going to the doctors and telling them they got the diagnosis wrong, or buying a dog and barking yourself. We are trying something new tomorrow by having a surgery and drop in together from10am - noon at the Methodist Hall in Haltwhistle, with the added bonus of home made cakes. I will be there to answer questions and help with any constituents problems. I have a meeting in Halty before hand and will afterwards then be going to Scotland to campaign for the Better Together campaign. This week I have called for an emergency meeting with hospital chiefs where he will ask them to consider scraping parking charges at Hexham Hospital. I have joined forces with Hexham West councillor Colin Cessford who says the parking charges are leading to "misery being endured by patients and visitors alike." The time is right to review the hospital parking policy after free parking was introduced in the town. As Colin says: "Now we finally have free parking in the town's car parks, there really is little justification for parking charges at the hospital. It isn't fair on patients and their families to have to pay such high charges." Bosses at Hexham Hospital recently revealed they will be scrapping the current "Parking Eye" system which relies on automatic number plate recognition. However, no changes were announced to the charges incurred by patients and visitors. I personally would like to see parking charges scrapped all together. It has been suggested that parking at the new Hospital at Cramlington will be free. 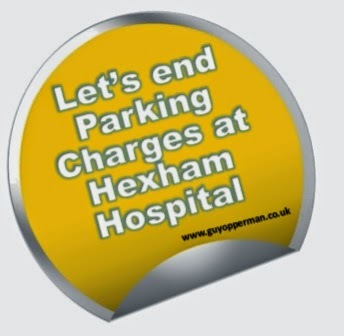 If that is the case, coupled with the fact that our other car parks in the town are free, then I think there is a very strong case for scrapping parking charges at Hexham Hospital. Cllr Cessford and I are calling for a meeting with hospital bosses in a bid to get a review of the charging regime. Today is Hexham Farmers Market. I shall be in the town all day, but will pop in to the market to do my shopping - it's from 9-1.30. Then tomorrow we have the Greenhead Market. Please go and support your local producers. Saturday I am all day in Hexham, starting with surgeries, and then I am campaigning with Martin Callanan MEP in the Euro elections, followed by further surgeries, and then a Quiz Night at the Hexham Cricket Club. Monday I am in Haltwhistle for a surgery and constituent meetings. 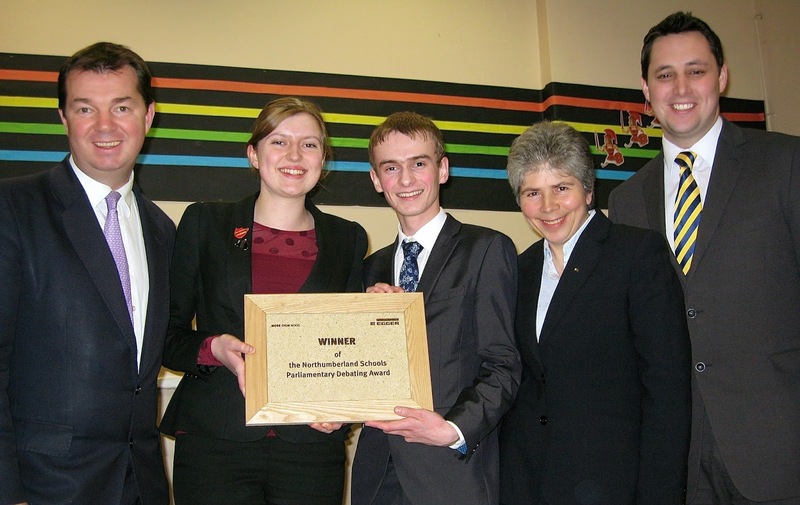 Northumberland Schools Parliamentary Debating Competition won by Ponteland High - by a whisker! Winners Harriet Barrett and Matthew Ross with my fellow judges, Egger's Jackie Stephenson, European Election Candidate Ben Houchen and the famous Egger Trophy. The debate Title was: "This House believes that the voting age should be reduced to 16"
Hexham, Haydon Bridge, Ponteland and Prudhoe all selected 2 students to represent them at the debate we held recently at Ponteland Community High School; this first ever Northumberland Schools Parliamentary Debating Award, was won by Harriet Barrett and Matthew Ross - having proposed the motion. I was on the judging panel of 4 - featuring Jackie Stephenson, HR Manager of Egger, and Ben Houchen, councillor and the Candidate for the European Parliament. The judging panel was completed by Dan Brown from my office, who did a lot of the legwork and organising . Our thanks to the schools, our sponsors the Hexham chipboard Manufacturer Egger UK – which is Northumberland’s largest manufacturing employer, the supporters who came and the pupils themselves. Genuinely on the night all 4 judges selected a different winner. After a long debate Ponteland won by the narrowest margin. They were aided by the best intervention of the night by Matthew, but it is fair to say that all 4 teams were outstanding. I am hopeful that we will make this an annual event. I know the students had fun, and all the adults who came up afterwards were really impressed. Out of curiosity I took a ballot of the audience and the motion was marginally carried that indeed ...we should give 16 year olds the vote. A great evening. 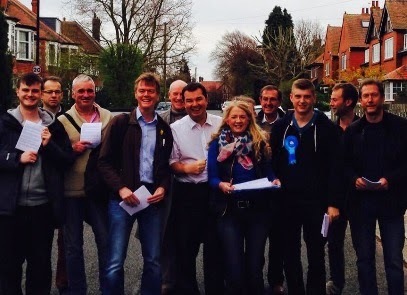 Guest Post - Cllr Veronica Jones: It's election time in Ponteland today. 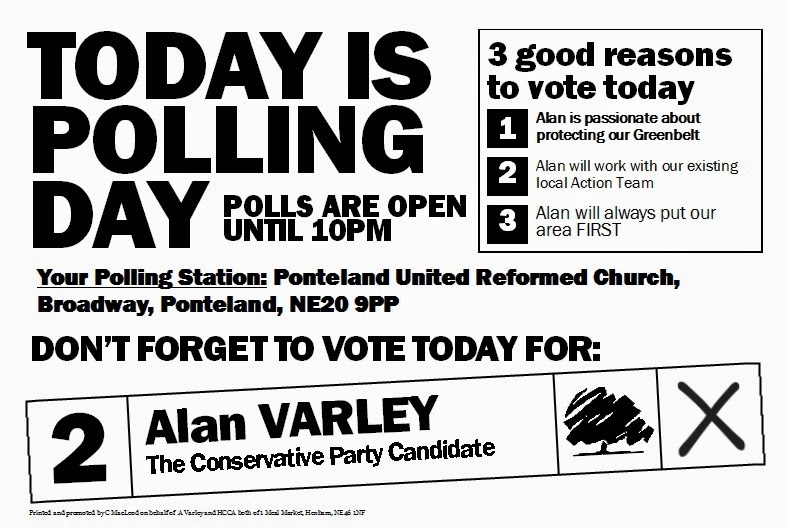 For the residents of Ponteland West there is a Town Council by-election today. Polls open as usual at 7am and will close at 10pm. The election will be a close race between Alan Varley the Conservative candidate and former Councillor David Butler, standing as an Independent. So far both sides have put out leaflets and been out on the doorstep, so we expect a close result tonight at about 11pm. Guy has been out campaigning with us and elections are always a great way of listening to the concerns of local people. As someone who spent a former life on the professional side of politics I am very surprised to see Labour couldn't put up a candidate. Whether it was just bad organisation, or they literally couldn't find someone to defend their record, I'm not sure. Either way today people will be able to make their voices heard at the ballot box. It was only 9 months ago that we held our banking summit at the Baltic last year to try and persuade new entrants to set up new banks. So it is worth reflecting that the experts from the world of finance and banking, who came together on June 7 2013 at the Baltic in Gateshead to hear how regional banks could prevent banking continuing to be concentrated in the hands of a small number of players, have now followed the project through. I organised that event to show how the North East can benefit from the changes. Among those who came was former Gosforth Grammar School pupil Anthony Thomson, named as one of the City’s most influential operators after helping set up Metro Bank, a new customer friendly bank opening branches across London. Mr Thomson has now set up Atom. It will be called Atom. Atom will offer a "full range" of personal and business banking products when it opens for business in 2015. This will include current and savings accounts, as well as loan products and credit cards. Mark Mullen, who has run First Direct since 2011, an online bank operated by HSBC, will become the new bank’s chief executive. The bank will be based in the north east of England. that staff at Northern Rail's depots at Neville Hill and Heaton will stop work at 18:59 BST on Thursday 10 April until 18:58 BST on Wednesday 16 April. The strike, by 42 members of the Rail, Maritime and Transport (RMT) union, follows a 48-hour walkout in February. - both a financial increase of 6.4% next year to Northumberland schools. - and a consultation on change. Last week the Government announced that schools in Northumberland will receive an extra £10.6 million funding in 2015/16, addressing the historic unfairness in the way school funding has been allocated. This 6.4% uplift is part of a proposed £350 million boost to the most underfunded local authorities. It represents a step towards removing the unfairness which exists in the school funding system - which has seen Northumberland's schools underfunded compared to their urban counterparts in Newcastle and Gateshead for many years. "I am grateful to my hon. Friend for his welcome of our announcement. I congratulate him on his robust campaigning over a period of time to ensure this fairer funding settlement. As he knows, under our plans Northumberland’s per pupil funding rate will increase by around £269 per pupil per year, which will mean over £10 million more for schools in his area." The school funding system that we inherited is fundamentally unfair. It is a postcode lottery that results in pupils attracting very different levels of funding without good reason. Compared to schools in Newcastle and Gateshead, Northumberland's schools have got a raw deal for far too long. Please fill it in - this really matters! - And work towards both better transport infrastructure and an integrated transport policy - and the ultimate goal of an Oyster card universal payment system for transport across the region, as so successfully launched in London and the South East. Two final points: firstly, it is important that this process frees up Unitary and County Councils to focus on the provision and delivery of core services - and not spend their time making 4 individual pitches for the Green Investment Bank, for example; I believe this will happen; and I made the case that this change must not lead to a loss of rural services, in particular rural bus services; myself and Councillors are working very hard to ensure that rural connectivity is not lost. I love this picture - it sums up the determination of the Afghan people - and the women in particular - to get to the polls, notwithstanding huge delays and torrential rain. More than seven million Afghans turned out to vote, defying Taliban militant threats to the poll. The election marks the country's first democratic transfer of power. It will take at least another week before the winner is confirmed. If none of the eight candidates gets more than 50% of the vote, Afghans will vote again in a second round. But the BBC reports that many Afghans feel their country has already won by holding a relatively peaceful poll. Turnout was double that of the last presidential election in 2009, despite major Taliban attacks in the run-up to voting and a cold, rainy polling day. An "energy price freeze" does not control prices and what happens to workers wages? Ed Miliband’s energy policy needs to be understood – he proposes to govern by issuing edicts to companies, telling energy firms what they should charge their customers and threatening similar orders to those he regards as ‘predators’. He has a very advanced and detailed business strategy — but seems to lack the support of a single prominent business leader. More importantly his strategy would raise prices not lower them. And who will do the investing in new energy infrastructure? "Does the right hon. Lady accept that an externally imposed price freeze does not control overseas supply or energy prices?" "What discussions has she had with trade unions and the energy industry about the possibility, should there be a price freeze, of a demand for a wages and salary freeze in the energy industry?" I cannot overstate the problems that would occur if government fixes prices - investment will be stymied, wages will reduce and all of us, the customer, will suffer in the long term. This Thursday in Riding Mill at 6.45 there is the latest debate organised by the St James Forum, on how we achieve a sustainable low carbon energy environment, featuring two of our best local experts in Tynedale. Past discussions have included debates on Genetic Technologies, Stem Cell Technologies, the Israeli view of the West Bank issues, the banking crisis, farming issues and so on. The Speakers are two experts - Bob Hull, who worked for the European Commission on sustainable energy issues, and both the Higher Education Funding Council and the Council of Newcastle University specialising in low carbon energies, will be debating with Malcolm Reid, who is a tireless campaigner on energy issues, including working with Bob on the Hexham Hydro Project; both are very active in the wonderful Transition Tynedale. The format for the evening is speakers and food, followed by an open discussion. The evening is in the Parish Hall Riding Mill and begins at 6.45pm - ending at about 9.15pm. If you have not been you should go this Thursday. Today we have the debate on the creation of local authorities working together - something that has never happened before. No more should we be in a turf war between different local authorities, where everyone loses out. My best example of this was the Green Investment Bank, where the North East submitted not one, not two but 4 separate city bids for the bank location. Instead of combining and working together we ended up with nothing. No other region has addressed its strengths and weaknesses like the North East did with the Adonis Report. This report was business led, written by experts, apolitical, hard hitting and realistic. It pulled few punches. The recommendations, backed up as they were by the Heseltine report, and the NECC, make the case for a combined authority; a Combined Authority will create a new transport authority allowing us to integrate and make infrastructure improvements, which are crucial our area. In addition, the LA7 will allow more money to be devolved from London to the region, and provide real ability to grow the jobs in the area. Greater Manchester, and other areas, have shown what can be achieved if there is unity and a committed agenda for change. This will not be regional government by the back door. This is not another layer of bureaucracy. This is simply the 7 local authority chairs working together under 1 agreed leader to provide the critical mass that wins big bids from government, overseas businesses and gets big infrastructure projects. I am delighted that the region now has a clear way forward to deliver even more jobs, apprenticeships, and growth. Sat at my desk with a busy three days ahead in Westminster, before I head north for 2 weeks. Tomorrow we have the big LA7 debate to created the North East Combined Authority, which I support and have campaigned at length to make happen. I shall be speaking in the short debate between 4.30-6. Writing my short speech now. I also have a Justice and Home Affairs debate tomorrow, plus the Holocaust Memorial Day Trust Parliamentary Reception, which I hope to be able to go to. In the evening I will be hoping to fit in a meeting with some of the Better Together team, who will be down in Westminster Monday evening. Tuesday sees Foreign Office Questions, followed by a series of debates and meetings concerning credit unions. I am particularly looking forward to a meeting with Sir Hector Sants, Chair of the Archbishop of Canterbury’s Credit Union Task Group; Sir Hector is seeking input from interested parties on the Church’s role supporting the growth of credit unions as part of a more competitive financial sector which encourages responsible lending and saving. The meeting is in Committee Room 14, Palace of Westminster, 4-6pm. Wednesday is busy with PMQs, the end of the Finance Bill in Committee, and a series of meetings with a 7 pm finish and I will then sprint for the 8 o'clock train to Northumberland. Once back home I have a multitude of meetings and visits over the next 10days, which I will blog about in more detail later in the week. •The income tax-free personal allowance increases to £10,000. 24.5 million taxpayers will benefit, with a further quarter of a million taken out of paying income tax altogether. From April, typical basic rate taxpayers will have gained by £705 from all increases announced by this Government. Three million people on low incomes will be taken out of income tax altogether. •Employer National Insurance Contributions will be cut by up to £2,000. This new Employment Allowance will benefit over one and a quarter million employers, over 90 per cent of them small businesses. 400,000 small businesses will no longer pay employer National Insurance at all. This is in addition to the savers’ package of measures, increasing the ISA allowance, offering new Pensioner Bonds in the next financial year and freeing savers to make their own decisions about their pension savings. - among the young it is 24 per cent. - His war on wealth creators has led to a collapse of foreign investment into the country — it has more than halved in the two years since he came into office. - In the same period, it has trebled in Germany. While most countries in the eurozone think the worst is behind them, France fears that the worst is yet to come. Hollande cannot be faulted for being serious about doctrine. He wanted to impose a 75 per cent rate of tax on the richest, and when the courts struck that down he imposed it on the employers instead. Rather than leading to a flood of revenue, it has put up a ‘keep out’ sign above France for anyone serious about starting a business. Success is penalised. Miliband’s proposed above 50% tax rises would do precisely the same. Meanwhile, George Osborne is squeezing the richest better than anyone: the best-paid 1 per cent now contribute 30 per cent of all income tax collected, the highest share in history. The Conservative party’s secret? It cut the top rate of tax. Hollande now talks grandly about his ‘responsibility pact’ with French business, whereby he cuts taxes in return for them taking on workers. It is not working. This is what George Osborne has been doing: since entering office, corporation tax has fallen from 28 to 21 per cent. Employment has soared to an all-time high (defying the predictions of Ed Balls, who said hopes of such a jobs surge was a ‘fantasy’). France has found out the hard way that no country has ever taxed its way into prosperity; if Miliband wins the election, and implements his agenda, Britain will be plunged into precisely the same crisis which now engulfs France. The stakes at the next election are terrifyingly high. 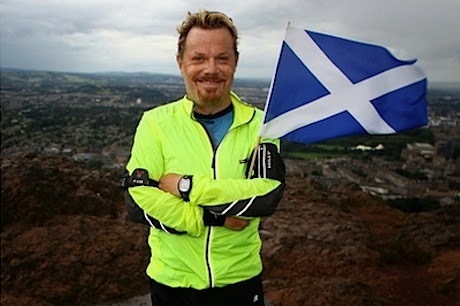 Tonight Eddie Izzard has gone north to make the case to Scots that we are Better Together. I have seen the great man many times and I am gutted I cannot be there. But Izzard is going to give those in the rest of the UK a voice in the independence referendum even though they don’t have a vote, and offer them an "opportunity to play their part in keeping our family of nations together"
Good news that the first Syrian refugees have now arrived in the UK as part of the Vulnerable Persons Relocation scheme. This scheme, which the Home Secretary outlined to Parliament on 29 January, is designed to provide protection in this country to particularly vulnerable people displaced by the conflict in Syria. A number of local authorities have already signed up to support the scheme and further discussions are ongoing with other authorities. The UK has a proud tradition of granting protection to those in need. Indeed, the UK is the second largest bilateral donor to the Syrian relief effort after the USA, having provided £600 million so far. In addition, the Government continues to offer humanitarian support in the region and in the UK. The greatest contribution we can make, of course, is to work to end the conflict altogether and we continue to seek a peaceful settlement that enables a political transition and an end to violence. As the French economy struggles on and socialism fails I am not sure Ed Miliband will continue to argue that the French way is a better way. But if you want an understanding of how bad Britain would be under the 2 Ed's then France is your example. I pick the Irish 25-1 shot Big Shu to land the odds in the National. Everyone knows you need a great jumper, and Big Shu certainly fits the bill, having won over the towering fences of the Cheltenham Cross Country race. He stays and has both a touch of class and a racing weight at 10 stone 8. I spoke to connections of Big Shu last month and know that they have prepared him specially for this race, and that they will be welcoming the recent softening of the ground. There is a huge gamble on the Zara Phillips and Mike Tindall owned Monbeg Dude, but I have real concerns about his ability to jump round. 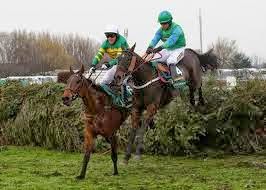 He always seems to really clout a fence in any race and you cannot do that at Aintree, even with the softening of the fences. The big dangers in my opinion are Teaforthree, last year’s third and Triolo D’Alene, who won the Hennessy in November relatively easily. I would love to make the case for North Eastern owner Graham Wylie’s top weight Tidal Bay but whilst he is a class act, he has to overcome two vital statistics: no 13-year-old has won since 1923 and no top weight since Red Rum in 1974. Tidal Bay is many things, but he is no Red Rum. If you want an outsider then I think that Alan King’s Walkon, must go well at a massive 50-1.But I still think Big Shu is the bet of the day and he will carry my £10 each way. A longer version of this blog will appear in tomorrows Journal. I still have not hung my boots up yet and will hope to race at Liverpool one day. In 2012, 150,000 people petitioned this House to stop charitable air ambulances having to pay VAT on fuel. May I thank the Prime Minister for his actions in the 2014 Budget which will mean that more missions are flown and more lives are saved? Does he agree that this is possible only because we are using the LIBOR fines for good purposes and because we have a long-term economic plan? My hon. Friend is absolutely right. I pay tribute to him because he is the founder and chair of the all-party group on air ambulances. He has campaigned tirelessly on this issue, and he led a debate in the House in 2012. I am delighted about the result that was achieved in the Budget. As he says, it will lead to an expansion of the service. He is also right that you can only make these decisions if you look after the nation’s resources, control public spending, and get the deficit down—in short, if you have a long-term economic plan. The decision in relation to County Hall is to be taken next week. If the result was the return of some services to Tynedale, and a better focus on the rural parts of the county, then many of my constituents would be very pleased. However, the BBC reports that the proposal is to go further east to Ashington. The disconnect would actually get worse not better. More details on the story here. New corporation tax year begins as the main rate is cut to 21 per cent. •Tax on business investment virtually abolished for most businesses. The annual investment allowance will be doubled to £500,000, and will be extended by a further year to December 2015. This means 99.8 per cent of businesses could pay no tax on investment.